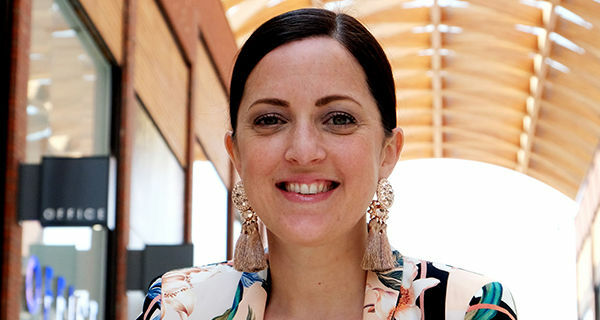 This week on the PRmoment podcast I’m interviewing Louise Turner, head of Edelman Intelligence UK & Ireland. Louise heads up a large part of Edelman’s annual Trust Barometer research and is here to tell us about the UK findings in a global context. Louise talks about a fair bit of data in this podcast and below are a few useful links where you can learn more about the context of the discussion. And here is come background reading on measuring and diagnosing Trust. 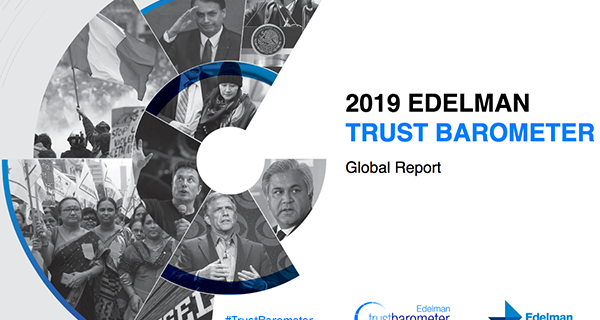 [00:00:49] Louise give us an overview of the 2019 Edelman Trust Barometer results. [00:01:09] How the Edelman Trust Barometer gives an understanding of how trusted the different institutions are that govern people's lives. [00:01:28] How despite some pretty turbulent political times, the 2019 Trust Barometer saw modest rises in trust this year globally. [00:01:38] Why these modest increases in trust globally come from different institutions depending on the the region. [00:01:47] What are the four institutions that govern people's lives according to the Edelman Trust Barometer. [00:01:54 ] How 2019 saw the trust in these four institutions diverge. [00:02:14] How the "informed public’s" trust levels moved away from the mass population’s trust levels in 2019. [00:02:26] Why we are returning to a record inequality of trust between the informed publics and the mass population. [00:02:50] The UK has the biggest gap in trust between the informed publics and the mass population of all the 27 markets included in the Edelman Trust Barometer. [00:04:58] Why trust is so important for business. [00:05:54] Why is it that the UK has the highest variance of trust between the elites and the mass population? [00:06:17] How in the UK the mass population have a 40% aggregate trust score across all the four institutions compared to the elites having a trust score of 64%. [00:06:30] Why the UK's 24 point difference between the informed public and the mass population is almost double the average difference we see across other countries. [00:07:03] Why Brexit is a symptom of this trust variance in UK society. [00:07:59] What are the implications of the variance of trust between the informed public and the mass population for communicators? [00:08:12] Why The Edelman Trust Barometer UK results show how people are feeling in the absence of a strong government. [00:08:29] How six out of ten people in the UK are worried about the impact of Brexit on how people in this country treat each other. [00:09:24] How Brexit has seen media engagement rocket: 2019 has seen real jumps in people reading, sharing and amplifying the news. [00:10:52] What successful leadership looks like according to the results of The Edelman Trust Barometer. [00:11:25] How 79% of UK consumers want businesses to step up and lead on change rather than waiting for governments to drive it. [00:12:46] How consumers rank businesses treating their employees well as their number one expectation, according to The Edelman Trust Barometer. [00:14:44] How trust has changed: 10 years ago it was a top down mechanic ,then it shifted from peer to peer and now we're seeing trust becoming very local. [00:15:08] The opportunity for employers: there is a 73% trust score in your employer globally, compared to an aggregate for other institutions of 43%. [00:17:37] Louise discusses the four levers of trust: Ability, Integrity, Dependability and Purpose. [00:18:28] What is a good trust score or is it just about your competitive set? [00:20:15] Louise discusses the interrelationships that make trust such a complicated emotion. [00:21:01] What are the most trusted ways to communicate: How should a business or a brand be using those different channels differently? [00:22:31] Why “traditional media” is still a really highly trusted channel. [00:22:50] Why trust in owned media has increased. 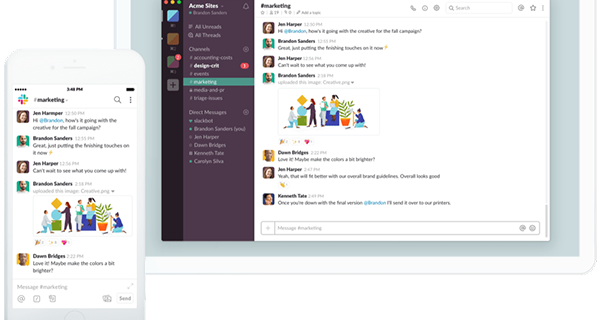 [00:23:01] How social media again come in last in terms of trust: in the UK social media has a trust level of 29$ compared with traditional media at 60%. [00:29:02] What are the benefits of trust? If you are a well trusted organisation, what is it that you you benefit from compared to a lesser trusted company? [00:32:06] How combining trust scores with a company's stock price enables you to see the bigger picture about that business. [00:33:04] Louise gives us an insight into the Edelman Trust Barometer Global Trends.